Please contact us before confirming your menu choice. You can download a copy of the menu here. An Italian appetiser served with our compliments. Olives marinated to a family recipe of garlic, herbs and homemade Sicilian extra virgin olive oil. Wrapped in pancetta, grilled and served on a bed of rocket leaf and Parmesan shavings, drizzled with olive oil, lemon juice and garlic. Homemade bread toasted and topped with pan-fried mixed vegetables and burrata cheese..
Fresh crab meat, chilli, garlic, parmesan cheese and parsley served with tartare sauce. Garlic Bread with tomato and chilli. Layers of pasta cooked in a rich Bolognese and béchamel sauce. Penne cooked in a homemade tomato sauce, garlic and fresh basil. Spaghetti cooked with a rich Bolognese sauce, made to a traditional family recipe. Pasta filled with lobster, cooked with wild mushrooms, speck, cheese and cooked in a cream sauce. Penne cooked with chorizo, chilli, garlic, tomato and a touch of cream. Vegetarian option available. Pasta cooked with crabmeat, garlic, medley of mushrooms, fish demi-glace, gorgonzola, white wine and cream sauce. Mozzarella cheese, speck, rocket leaf topped with Parmesan shavings. Mozzarella cheese, tomato and ham. Mozzarella cheese, tomato and spicy pepperoni. Mozzarella cheese, tomato, spicy pepperoni, garlic, red onions and chilli. Mozzarella cheese, mushrooms, ham, spicy pepperoni, roasted peppers and olives. Mozzarella cheese, goat’s cheese, onion, green olives and roasted peppers. If you have any allergies or special dietary requirements please inform a member of staff who will be happy to assist you. Fillet steak cooked with Gorgonzola cheese and cream topped with Parma ham. Fillet steak cooked with crushed black peppercorns, onions, French mustard, red wine, brandy and cream. Sautéed pieces of beef fillet, with onions, mushrooms, French mustard, and cream served with rice. Chicken breast cooked with mushrooms, cream, white wine and brandy. Escalope of veal topped with Parma ham and cooked with white wine, fresh sage and a demi-glace sauce. Strips of chicken and pork sautéed with shallots, garlic and chilli cooked with white wine, cream and saffron served with rice and vegetables. Sliced aubergines pan fried, baked in the oven with mozzarella cheese, parmesan cheese, tomato and fresh basil. 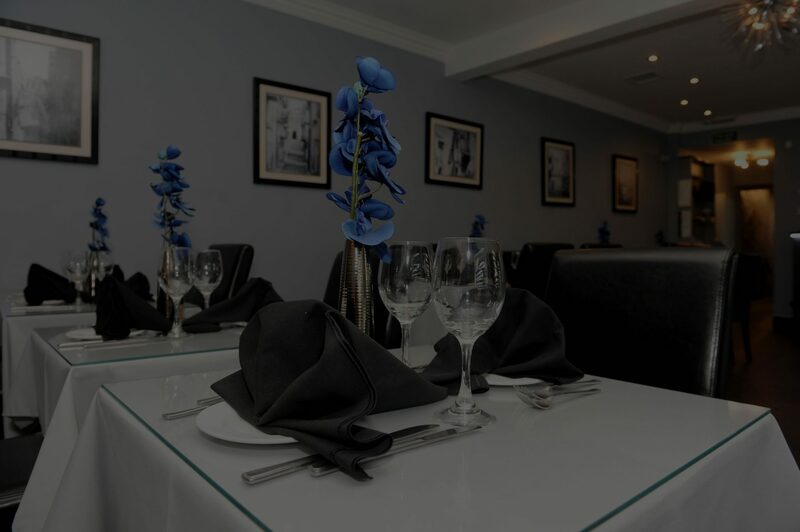 Colosseo Restaurant, Scunthorpe is the perfect place for any celebration. Enjoy delicious authentic Italian food in the heart of Lincolnshire - a family business. © 2018 Colosseo Restaurant | T 01724 271 775 | Site by The Complete Design Co.